Thank you for all of your varied advice over the years. 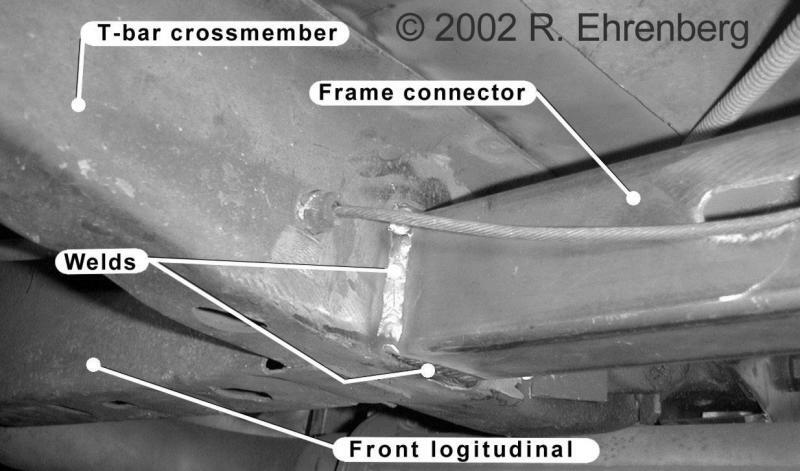 I have a questionfor you that is both very simple yet complex: I am installing frameconnectors (2″ x 2″ square tubing butting into steel plates on the trannycrossmember) and before I weld anything I want to make sure how preciselysquare everything must be. The car is a stripped unibody (except suspension) on raised jackstandsresting on the lower control arms in front and just inside the drums on thediff housing in the rear. I have got it sitting as level as I can, mimickingits weight on stock suspension. When I place a 4ft level under the front frame members it seems about a1/2″ out of level (left to right) yet the rear frame rails are level. Samegoes if I then level the front…the rear frame rails go out a similaramount. The car is a slant six car so no big block twisting has everhappened, and it’s never been hit. However, I don’t want to unify the framecrooked. How “out” is out in this upgrade? Of all the articles I’ve read,the only mention is to check the doors but I haven’t seen anyone check theplumb from the bottom of the car (unless it’s welded to a chassis table). Isthis a normal problem and/or is there a standard solution? Richard, 1/2″ is quite a bit. Best guess, if there’s no evidence of a hit,is that it was built that way. My gut tells me to not touch it, however; ifyou do, it will be a pandora’s box of ripple effects. This advice would seemto be carved in stone if all the bolt-on stuff (K, doors, fenders, hood,etc., fit OK as is. These photos are of a frame connector installation on a ’67-76 A-body atAuto Rust Technicians (www.autorust.com).